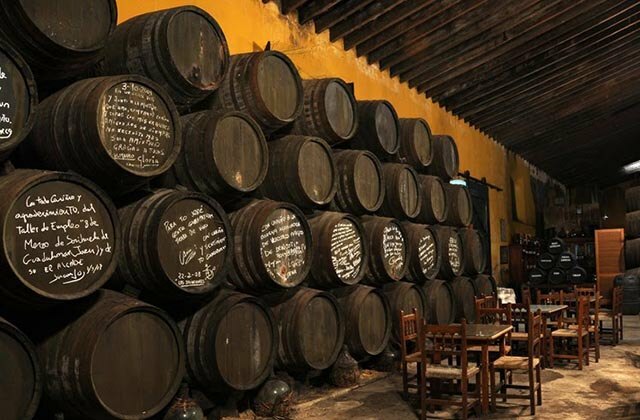 If you would like to engage on wine tourism in Jerez, here is a list of the 16 best wineries of Jerez and other municipalities of Cádiz. They all belong to a region that produces wines with the Denomination of Origin “Jerez-Xérèx-Sherry” and “Manzanilla-Sanlúcar de Barrameda”, the so-called Marco de Jerez. 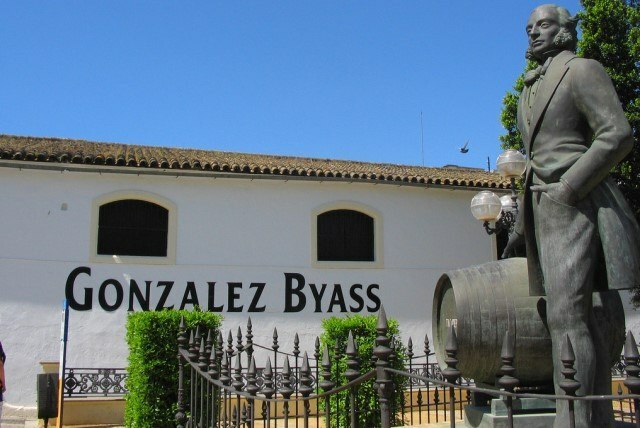 Las Osborne, Barbadillo, González Byass and Caballero wineries are amongst Spain’s thirteen oldest companies, according to a list published in the famous Forbes magazine. Another reason to visit them is that you will be able to learn about their long history, in addition to tasting its wines and enjoying the beauty of its old wine producing-hubs and vineyards. We invite you to get to know the wines of El Marco de Jerez. However, if you are already familiar with them, take a look at our list of the 10 best wineries of the province of Malaga. This winery was founded in 1877 by Alexander Williams and Arthur Humbert and is considered the largest in Europe with over 180,000 m2 of space, set between the site’s buildings. The secret of the success of their products is based on the quality of the brands they use. During a visit to this winery, you can observe wines and brandies of the label, dating back to the year of its foundation. The tour includes tastings, horse shows, food and a visit to the museum collection. In the shop you can buy their wines, brandies and vinegars. Opening hours: Monday to Friday from 9.00 to 15.00. In 1835, the young Manuel Maria Gonzalez Angel acquired a small winery and success has accompanied the growth of the wine business ever since, so much so that its wines are known throughout the world, including its Tio Pepe sherry, and its Soberano and Lepanto brandy. The quality of the wines is traced back to the origin of the grapes, taken from the finest land in the Jerez Superior area. The winery offers a comprehensive program for visitors throughout its historic facilities, including tasting of 2 wines, upgradeable to 4 wines. It is also possible to include lunch or tapas in the food and wine tasting area of the Tio Pepe Gran Bodega area. Hours vary by day and language, so we recommend visiting the website or calling directly at (34) 956 35 70 16. 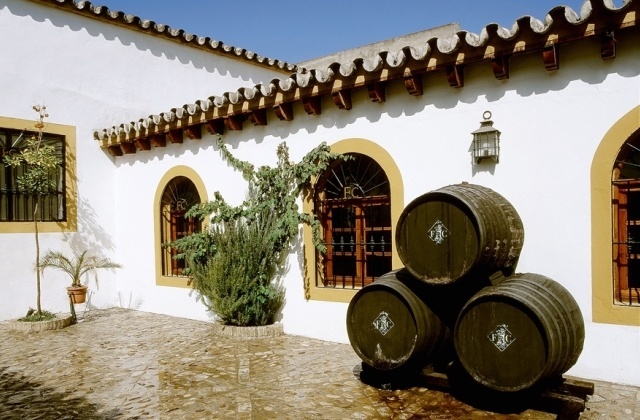 For more than 180 years, this family winery has sat at the historical centre of Jerez. Wines with Designation of Origin Jerez-Xeres-Sherry are aged, bottled and marketed in its facilities, with unique Jerez decorations and a special charm. One of the most significant details is the hand-made label for one of its most valuable fragrances. In 2011, it was honoured as one of the top 100 wineries in the world by the prestigious “Wine & Spirits”. Opening hours: Monday to Thursday from 9.00 to 13.30. The Emilio Lustau winery was founded in the late nineteenth century by José Ruiz-Berdejo, who along with his son produced a tremendous amount of wines, providing high quality exports. This allowed them to expand the business by moving in the neighbourhood of Santiago, using the buildings that were once part of the town’s ancient walls. This allowed an element of history surrounding wines that were now drunk across the world. The visit to this winery wine integrates gastronomic and cultural activities. Hours: Monday from 10:00 to 2:30 p.m., Tuesday through Friday from 10 to 17.00h Saturday from 10.00 to 15.00h. 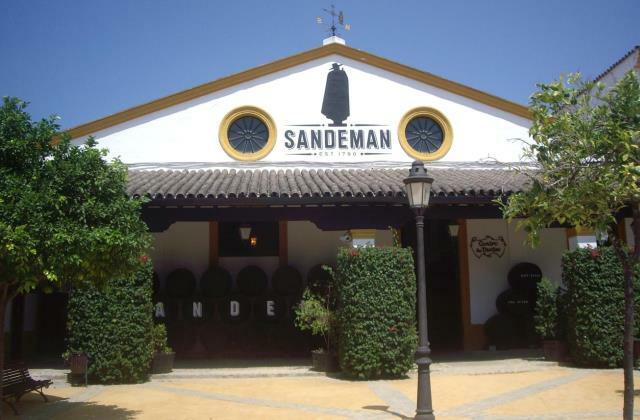 The Sandeman Bodega was founded in 1790 and became the world’s most popular firm among Jerez and Porto wines for its stunning wineries. They are regarded as the first company to label and advertise their wines and brandies, thereby offering a guarantee of quality to consumers. By the first quarter of the eighteenth century, Sandeman wines were already exported to various countries in Europe, North and South America and Africa. Schedules are available on the official website of the winery and visits include a tasting of 3 wines of Jerez with a small appetizer. 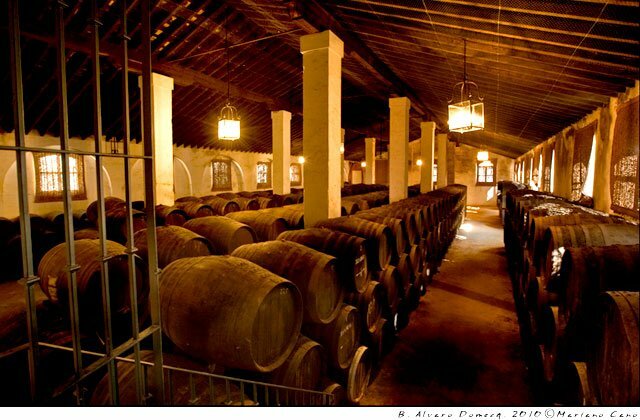 The Fundador Pedro Domecq Bodega was founded in 1730 and is considered the oldest in Jerez, situated inside the doors of Rota. A visit to the facilities is a true pleasure to the eye, offering a glimpse of what Jerez looked like in the 18th century. There are five main buildings where the wines are stored. The El Castillo winery is a must see, hosting one of the towers that was once used to protect Jerez. In short, a visit here not only provides wisdom about wine, but local culture as well. Hours: Monday to Saturday. Please go to the website to book the tour. There is possibility of a night tour of the facilities. These wineries are named in honour of King Ferdinand of Castile, ” The Saint”, who discovered the qualities of the local land as well as the ideal weather for producing wine. 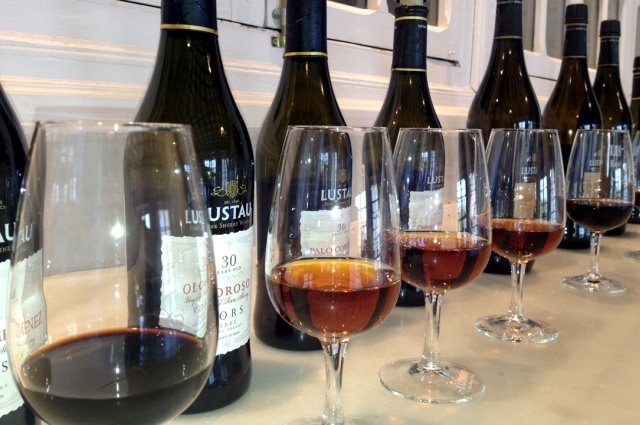 The Andrada – Vanderwilde family is the founder of the label, offering a long tradition of the production of sherry. More than wine, their brandy stands as one of the finest in the country, as well as offering sherry vinegar. Visits are by appointment from Tuesday to Friday. Check schedules on its website. The owners of this winery are the Gonzalez family, who founded its first facilities in 1915. Since then, generations after generation have dedicated themselves to producing handcrafted wines. The vineyards are located in a unique albariza zone, which, together with the category of grape, produces an aroma and one of a kind fineness, worthy of recognition. It is a small winery, but one with great charm and simplicity. There, visitors will find friendly, specialized treatment. Visits can be made from Monday to Friday at different times: 9.00, 10.00, 12.00 and 13.00 h.
The Hidalgo wineries posses a great winemaking tradition. Five generations have been working in this industry since the winery opened its doors in the second half of the 19th century. 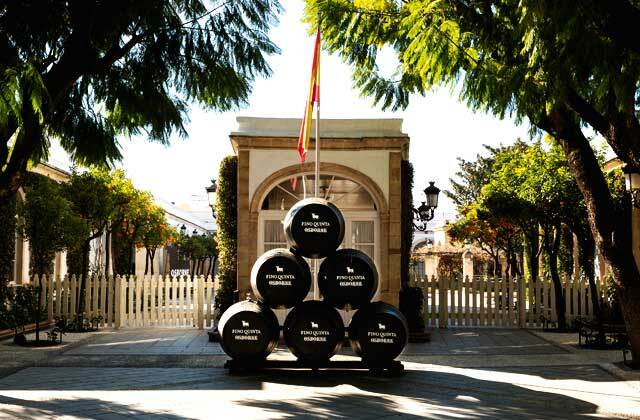 The winery has been in the same location since its inception, in the historic centre of Jerez. 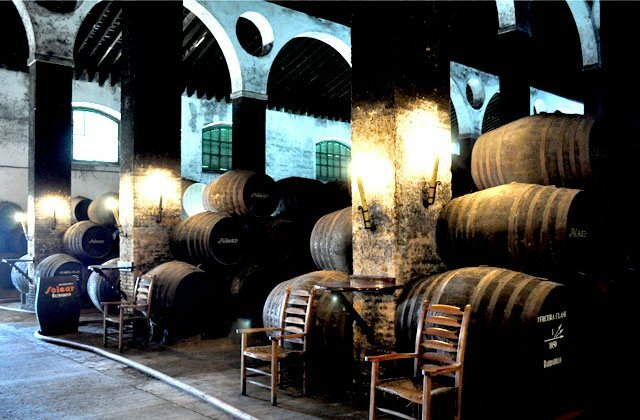 The architectural features of the facilities help the maturing and aging of Sherry. 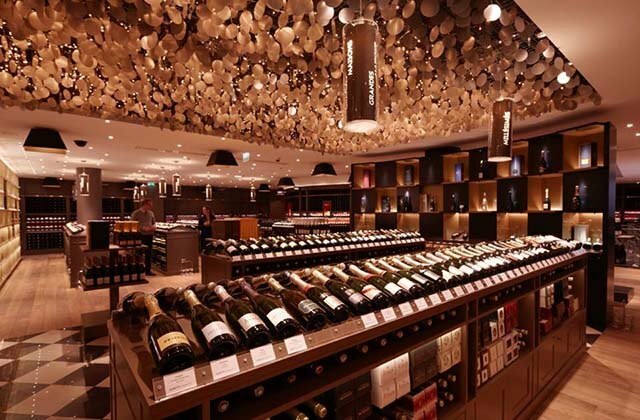 The wines are present in many European countries, with exports beginning in 1970 to the U.S. and Japanese markets. Visiting hours are available on the web. Once there you can access the museum and warehouses Monday through Friday and Saturdays by appointment. José Estévez creates wines and brandies in this Jerez winery. Situated in an unusual setting, where thousands of barrels of crianza have been produced throughout its history. 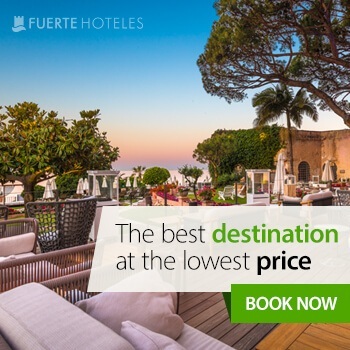 A variety of activities are offered to visitors, including private horse shows, a visit to a Museum of Contemporary Art, a glimpse of Picasso’s “Suite Vollard”, getting to know the Print Museum or the Carriage Museum, or attending specialized tastings or flamenco performances. The winery boasts wines and brandies and is also proud to offer the Yeguada Real Tesoro, dedicated to the breeding of purebred Spanish horses. Hours Monday to Friday: Spanish-language Visits: 12.30h. English visits are offered at 12.30h, while visits in German will be at 12:00h. Evenings are available to book on Saturdays and Sundays. The history of Bodegas Barbadillo dates back to 1821. It was established by two cousins that came from Mexico, after they bought their first winery, called “El Toro”. Currently, the Barbadillo family has 17 wine-producing hubs located in the town of Sanlúcar de Barrameda. 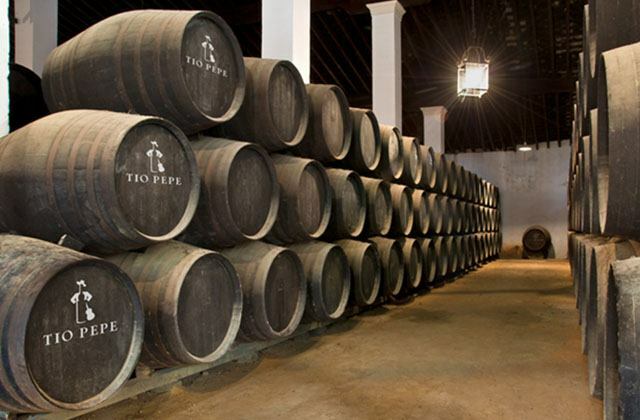 They preserve the best traditions for aging wine of the Marco de Jerez. 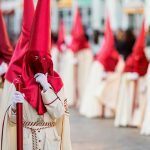 However, they have also embraced innovation creating the first white wine of Cádiz, the first Andalusian red wine and the first Andalusian brut. In addition, it produces denominations of origin of Ribera del Duero and Somontano. Since 2002, Bodegas Barbadillo features the world’s only Manzanilla Museum (Museo de la Manzanilla). It occupies an early nineteenth century building, and shows the history of this unique product, the evolution of the Barbadillo family and its great cultural heritage, which includes Spain’s most varied enological architecture. In order to visit Bodegas Barbadillo, there are different programs, guided tours with tasting of four wines, guided tours that include appetizers, as well as special tours during Christmas with “Zambomba Bodeguera”. The duration of the programs varies. The history of this winery dates back to 1830. It was established by Don José Cabaleiro do Lago, who first stablished a winery in the municipality of Chipiona. It was later, in 1932, when the headquarters of Bodegas Caballero were moved to Puerto de Santa María. There, they purchased Bodegas de José de la Cuesta, which had been in operations since 1849. 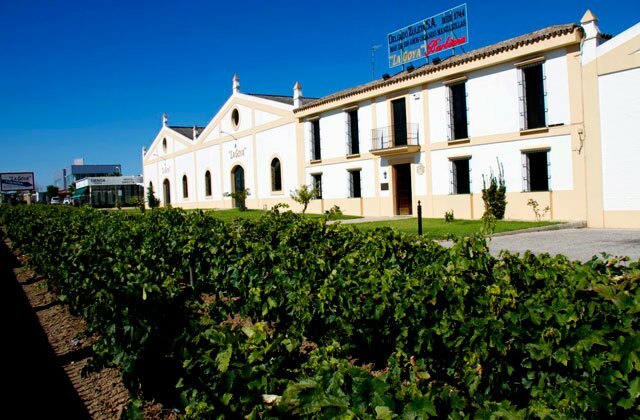 With the passing of the years, they have acquired other wineries across the Marco de Jerez and in other Spanish municipalities. They also acquired the San Marcos Castle, an Asset of Cultural Interest and a place used for hosting cultural events such as conferences, exhibitions and concerts in Puerto Santa María. 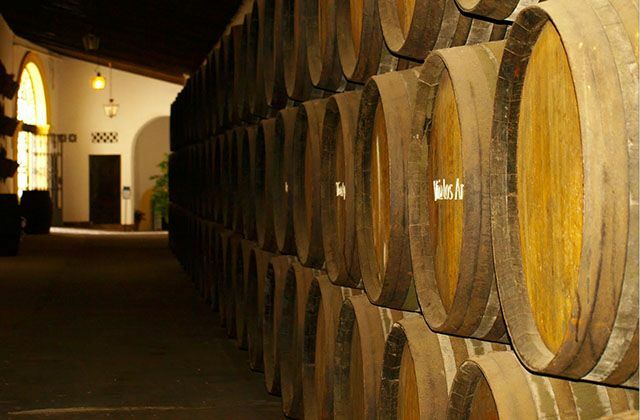 During your visit to this winery, you will learn about the history and the process of making Jerez wines, as well as the history of the site itself. 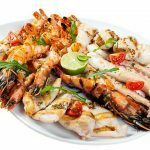 You will also enjoy a tasting of some of these famous wines, as well as an appetizer. The visit includes a tour of the aforementioned San Marcos Castle. This winery occupies the buildings of what used to be Bodegas de Pilar Aranda, a construction of the first half of the eighteenth century, purchased by Álvaro Domecq in 1998 with the purpose of selling its wines under his commercial name. From an architecture point of view, the main characteristic of this winery is the pitched tile roof with two slopes, and how these high roofs are supported by pillars. 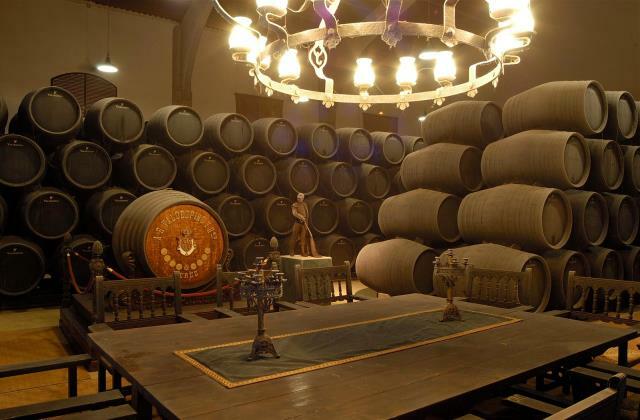 The guided tours to Bodegas Álvaro Domecq can be enjoyed individually or in a group. 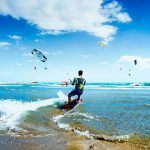 If you are part of a group tour, the visit can be combined with a lunch or a dinner in the winery, besides enjoying the outdoor show at the Los Albujeros Ranch. During your tour around this Jerez winery, you will learn about the manufacturing process of its precious wines, brandies and vinegars. You will also have the chance to taste each of them, accompanied by exquisite local products. Bodegas Díez Mérito is located at the center of Jerez. It has a history of more than 200 years. King Alfonso XII granted it the honor of being the official supplier of the Royal House, in addition to using the Royal Coat of Arms on its bills and labels. 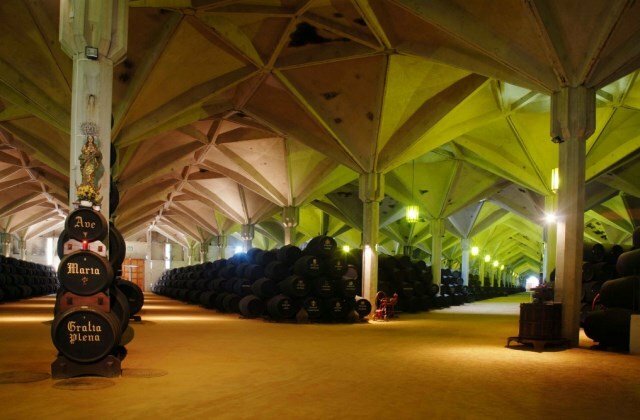 This winery preserves one of Jerez’s most representative wine-producing hubs, the Bodega Bertemati. A magnificent building from 1770, with a vaulted structure with wonderful arches. 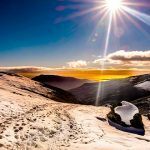 There are different visit programs, for individuals or groups. 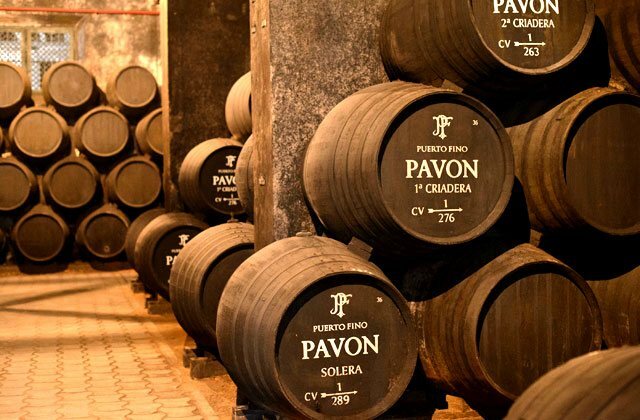 All of them include a tour of the most interesting areas of the winery, a quick view of the history of how Jerez wine is produced and aged, as well as a tasting of its wines. Some programs include lunch or dinner at the winery. This is the oldest of the wineries of the Marco de Jerez. 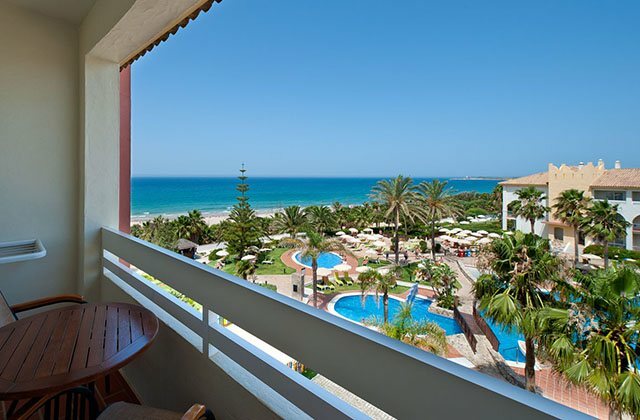 It was established in 1744, in Sanlúcar de Barrameda. Today, it stands proudly in front of beautiful vineyards. If you visit this winery, you will have a chance to experience the unique Wine Interpretation Center of the Marco de Jerez. It is located at the “Tío Paco” winery, inside Bodegas Delgado Zuleta. It includes the most traditional areas of the wineries, with samples of utensils and labors with centuries of history. It also features cutting-edge technology to explain visitors how the wineries work and how the preparation process of the different wines is. Delgado Zuleta offers the traditional tours of its wineries, in addition to services that include a horse show, tourist tours of the city, special activities for children and special visits such as “Noches de Manzanillas” (Manzanillas Nights), “Las Melodías del Vino” (The Melodies of Wine) or “Cata bodeguera con iniciación a la venencia” (Wine Tasting with an Introduction to Venencia”. This winery belongs today to one of the largest Spanish business groups, an internationally famous one. Its history dates back to the late eighteenth century. It was established by Thomas Osborne Mann, a young English merchant that moved to Cádiz to sell the wines of the area. To this winery belong the famous Anís del Mono and the also famous billboard that features the black silhouette of the Spanish Fighting Bull. 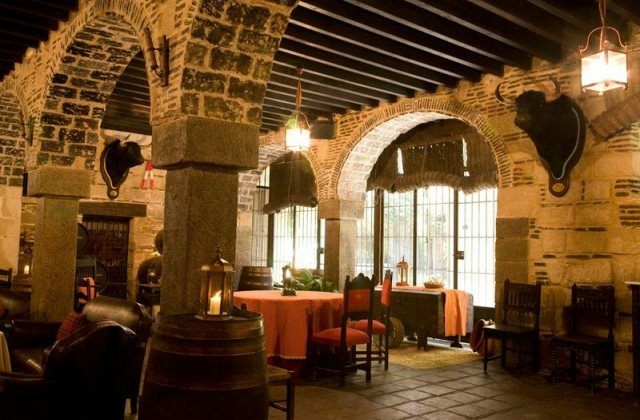 From its different wineries, the one open to the public is located in Puerto de Santa María, called Bodega Mora, an artistic and historical complex of the early nineteenth century. Besides the main manor with a watchtower, it features six wine-producing hubs where Osborne’s most precious jewels are aged: one of the finest collection of VORS wines (wines more than 30 years old) of the Marco de Jerez. All visits have a duration of an hour. The tours are designed so that visitors leave with some knowledge of the different products offered by the Osborne Group, as well as with a taste of its long history. The tours close with a wine tasting in a room specially designed for that purpose. 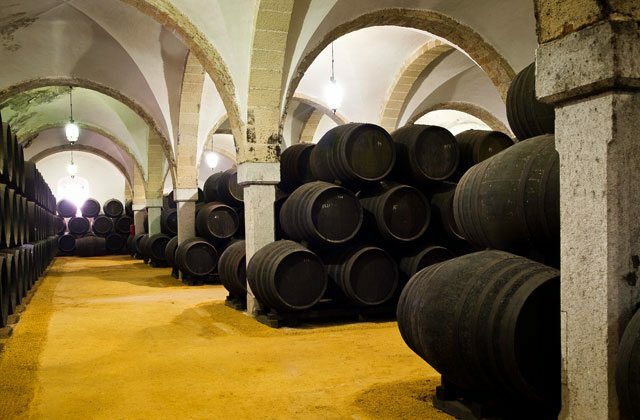 A tour of Jerez offers a wide variety of tourism destinations and activities in its cellars. Do not miss the opportunity to get up close and personal with these wineries – we strongly recommend adding this to your sightseeing plans in Cadiz.